You are here: Home > FAQ > Cannabis Strains: Do Cannabis Strains Differ? Cannabis consumers have always maintained that different types (strains, or chemical varieties, chemovars) produce distinct effects, whether this be with respect to their psychoactivity or to their therapeutic attributes. Strains are often designated as sativa, indica, or a hybrid. These labels are quite misleading as applied in the marketplace, however. In contrast, the scientific community has generally focused on tetrahydrocannabinol (THC) as the primary or only important variable. It is clear that until very recently, selective breeding in cannabis for the recreational and medicinal markets have produced THC-predominant cannabis to the exclusion of other cannabinoids. Some researchers have stressed the importance of additional components, especially terpenoids, the aromatic components of cannabis that like cannabinoids are produced in glandular trichomes, as important modulators of cannabis effects (McPartland & Russo, 2001, Russo 2011). What are other cannabinoids in cannabis? The most common phytocannabinoid besides THC is cannabidiol (CBD). It was previously common in cannabis landraces from Afghanistan and Morocco, for example, but has largely disappeared from recreational cannabis. It is also present in hemp fibre and seed strains, but usually in low titre. In the medicinal arena, CBD has received increasing attention due to its many medicinal attributes, including its pain-relieving and anti-inflammatory benefits without intoxication or sedation. It also reduces side effects of THC when administered concomitantly, specifically, anxiety and tachycardia. Taken together, the two components may demonstrate synergy in many applications. Another cannabis component of interest is tetrahydrocannabivarin (THCV), traditionally found in small amounts in Southern African cannabis chemovars (chemical varieties). It is currently under investigation as a treatment for metabolic syndrome, often seen as a prelude to the development of Type II diabetes. 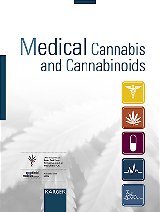 Other phytocannabinoids under investigation include cannabigerol (CBG) for prostate cancer, cannabidivarin (CBDV) for epilepsy, and several others. Abundant evidence supports that these low concentration components contribute to the phytocannabinoids in whole cannabis preparations by adding their own therapeutic benefits or allaying side effects of THC. 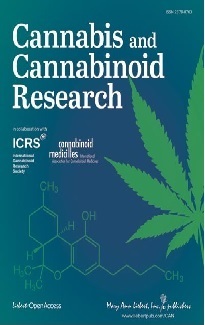 Worthy of particular mention are limonene, with known anti-depressant effects, pinene, which attenuates short-term memory deficits engendered by THC, myrcene, which is sedating, and beta-caryophyllene, which stimulates the non-psychoactive CB2 receptor, and produces anti-inflammatory and analgesic effects. Further research will address the relative importance of these agents in various cannabis preparations. Dr. Ethan Russo is a board-certified neurologist, who serves as Senior Medical Advisor to GW Pharmaceuticals. He is a past chairman of the International Association for Cannabinoid Medicines, and is the current president of the International Cannabinoid Research Society.